Information Technology: An Introduction for Today’s Digital World introduces undergraduate students to a wide variety of concepts they will encounter throughout their IT studies and careers. The book covers computer organization and hardware, Windows and Linux operating systems, system administration duties, scripting, computer networks, regular expressions, binary numbers, the Bash shell in Linux, DOS, managing processes and services, and computer security. It also gives students insight on IT-related careers, such as network and web administration, computer forensics, web development, and software engineering. 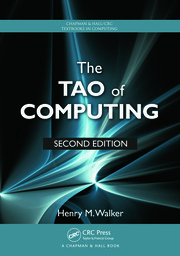 Suitable for any introductory IT course, this classroom-tested text presents many of the topics recommended by the ACM Special Interest Group on IT Education (SIGITE). It offers a far more detailed examination of the computer than current computer literacy texts, focusing on concepts essential to all IT professionals—from operating systems and hardware to information security and computer ethics. The book highlights Windows/DOS and Linux with numerous examples of issuing commands and controlling the operating systems. It also provides details on hardware, programming, and computer networks. The book includes laboratory exercises and some of the figures from the text online. PowerPoint lecture slides, answers to exercises, and a test bank are also available for instructors. Further Reading and Review Terms appear at the end of each chapter. Richard Fox is a professor of computer science and current chair of the University Curriculum Committee at Northern Kentucky University, where he regularly teaches courses in computer science and computer information technology. Dr. Fox is the author or coauthor of several computer literacy laboratory manuals, one introductory programming course laboratory booklet, and more than 45 peer-reviewed research articles primarily in the area of artificial intelligence. He earned a Ph.D. in computer and information sciences from Ohio State University. 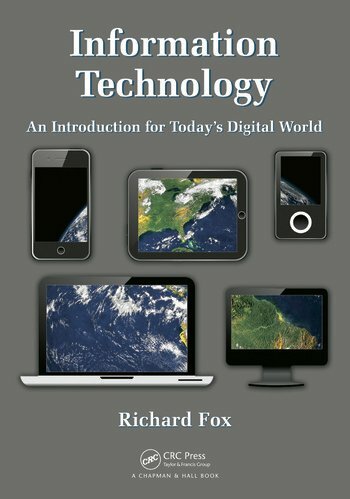 "Fox has delivered good, broad coverage of computer information technology suitable for use as a textbook for an introductory university course." "Deftly organized and presented, comprehensive, and extensive, and highly recommended for professional and academic library IT reference collections, Information Technology: An Introduction for Today's Digital World is ideal as an IT curriculum textbook."